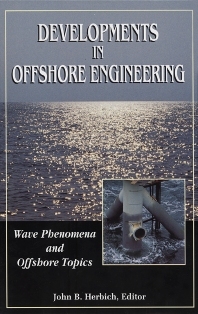 Drawing from experts and top researchers from around the world, this book presents current developments in a variety of areas that impact offshore and ocean engineering. Wave Mechanics: The Green-Nahgdi theory of fluid sheets for shallow-water waves. The Cnoidal theory of water waves. Equation for numerical modeling of wave transformation in shallow water. Nearshore wave prediction models for coastal engineering applications. Offshore Topics: Mooring dynamics of offshore vessels. Cable dynamics for offshore applications. Modeling laws in ocean engineering. Hydrodynamics of offshore structures. Underwater acoustics. Life support for diving. Index. John B. Herbich, Ph.D., P.E. was W.H. Bauer Professor Emeritus of Civil and Ocean Engineering at Texas A&M University. He was a Fellow and Life Member of the American Society of Civil Engineers. He passed away in 2008.